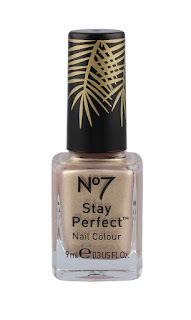 I have to admit No7 is one of my favourite high street brands even though I do personally think it's a tad overpriced when it comes to most of it's products. But I do love so many of there products - mainly there Stay Perfect Eye Mousse, Quick Cover Blemish Stick, Exceptional Definition mascara, Hot Cloth Cleanser and Amazing Eyes Pencil. All great quality products. Something I also love is there constant limited edition collections - I may only buy one or two products from each collection but I'm just as excited to see what they come up with each season. So here what's coming up this month and also a preview of there upcoming 70's inspired Summer collection. Now if you are a Lipstick Queen or Poppy King fan I'm sure you will be finding this new collection all very exciting. I mean Poppy King (a true lipstick expert!) has never collaborated with any other brand before now! Glamour, Confidence, Allure, Intrigue, Power, History and Seduction. 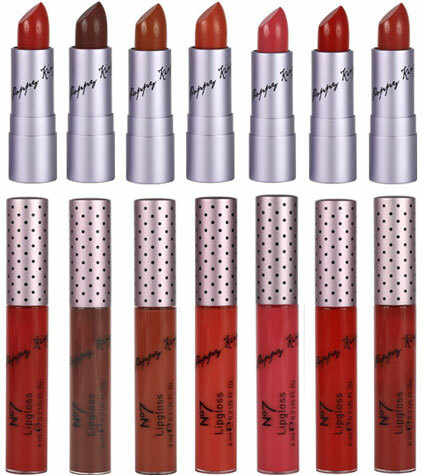 The shades do look pretty nice - but I do have my concerns on the pricing of the lipsticks. No7's lipsticks normally retail for £10 and I think that is the top price they could ever charge. But pricing the Poppy King N07 lipsticks at only £1.50 cheaper than MAC lipsticks is verging on the ridiculous. As for the packaging it does have a rather vintage feel to it and was actually inspired by Marilyn Monroe's iconic beauty spot and Man Ray's lip motifs! Definitely quite chic for No7 I must say. I have always loved No7's Summer collections there is just something about them - remember the lovely Summer 2010 Sun Drenched Sculpting Bronzer and the lip gloss pot with 22ct gold in it! Just beautiful. Now sadly I think No7 have discovered that cardboard palettes are alot cheaper to produce and therefore there will be no sturdy plastic compacts to be seen this year,but still all very beautiful and bronzed. 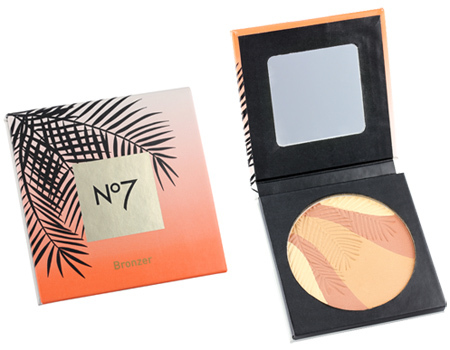 No7 Sultry Glow Bronzer (£13.50) see above. 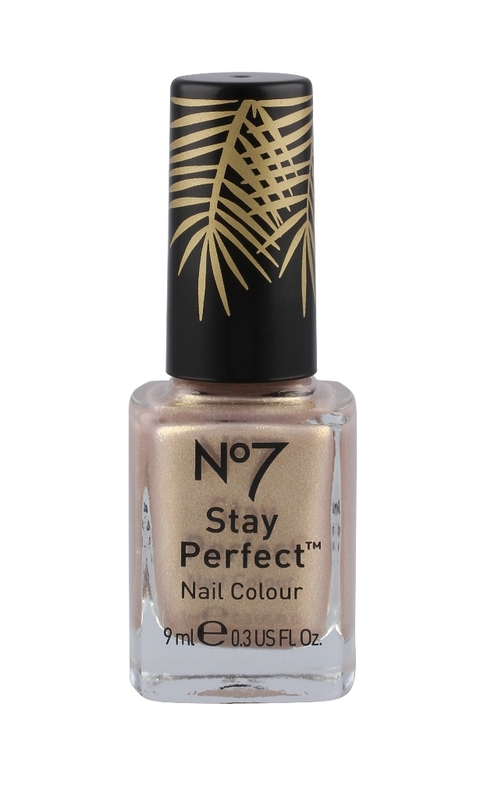 Also 2 new limited edition Stay Perfect Nail Polishes in Sultry Sands (light gold) & Golden Palms (bronze) & two lip glosses. Have to say loving the palm leaves on the nail polish top! So there you have it...two lovely new collections. Anyone else wish they would stop there £5 free vouchers and just reduce there prices a little? Those Poppy King lippies look lush.. But I agree, they are too expensive. 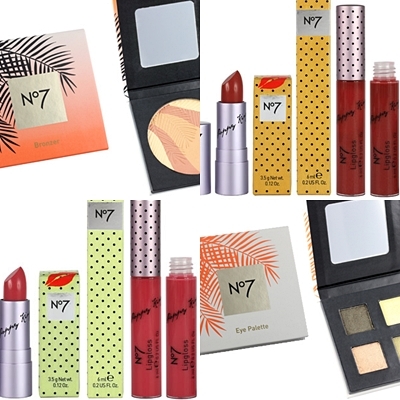 I do buy No7 products (love their body products and eyeshadows) but they are a bit overpriced. I'm very interested in those poppy king lipsticks! Will definitely be keeping a few vouchers for them! The sundowner packaging is absolutely divine, especially on the nail polish. woah!! No 7 just doesnt wow me and I think the lipstick shades are a bit too safe to be of real interest and not loving the packaging at all. Miserable old bag aren't I?! I agree, even with voucher I'm not sure I'll buy anything. 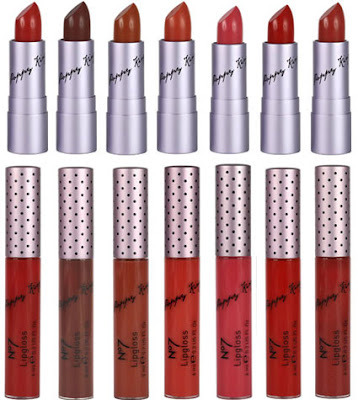 Although I love Poppy King, I am generally not a huge fan of No.7 lipsticks and now coupled with the fact that they are overpriced ensures I won't be making a purchase! Great post as always Fee. I think a lot of No7 is way overpriced, it seems to ve trying to market itself as a high end brand. To be honest I would rather find a dupe of the poppy king lipsticks in MAC and have a more coveted lipstick for the price. The packaging on the lip products reminds me so much of topshop makeup. Nope, I love the vouchers :P But I'm not keen on this collection. Not the cardboard packaging again?! I really love the designs shown here and my Brigitte lipstick, but to preserve them in its glory, I can never toss it into a handbag. Apart from Benefit blushes, who else does cardboard boxing whilst charging such a high price anyway?! WIll be saving a couple of vouchers, so thanks for the heads up on that one.